It feels poignant to me to write about sugar substitutes at this time, when, I am acutely aware that in under a week’s time it appears that half the population will gorge and double their average weekly Chocolate intake in a single day; Easter Sunday arrives! Raw Chocolatier debut on SKY TV! Sat 27th-Sun 28th (*TBC) VegFest at Olympia. Last night, owner Alina & I were joined by a group of 8 female customers from Blackheath Neal’s Yard Remedies for our Talk & Demo Workshop on healing through superfoods with 3 individual, special smoothies & desserts. Each ‘Superfood’ is a versatile ingredient in its own right. Initially, here’s what we can do with them, at home: Add to salads, dressings, soups, cereals, desserts and tonight: drinks. These are fun to make at home; they’re not too sophisticated (or complicated). We made a fresh Almond milk as a dairy milk alternative, to add protein and fat to the drinks and which slows down the sugar release during the day. A base of almond milk, banana and berries with added Viridian Omega Oil for EFAs (a blend of flax, hemp, avocado & evening primrose oils) and Rhodiola Root. A delicious, deep pink\purple drink with a creamy texture. Supports the adrenal glands to support against stress eg. revision, exams, a busy day or evening ahead. This uses the same base but with added Soul Food Greens – a blend of Spirulina, Seagreens seaweeds, Wheatgrass & Barley Grass powders, plus Omega Oil. A deep purple\green colour to aid in alkalising and reducing acidic affect of processed food or fruit sugar. This helps to rebalance us towards pH7.5 a more balanced state internally. They reduce heavy metals and provide minerals inc. Iron, Magnesium, Sodium and Potassium. Alina informed us that this blend (or Spirulina alone) is a useful travel supplement taken on long-haul flights may reduce jet-lag. Again, we used the same fruit & nut milk base and then we added additional soaked Gogi berries (in warm water), Chia seeds, Coconut Oil and Baobab powder. This would add Vitamin C for immunity and cell growth, EFAs & energy metabolism, fibre and many minerals inc Calcium and Vitamin K. Coconut Oil contains Lauric Acid to support muscular growth & development and sports performance. This is a pretty coral\pink\red colour drink\dessert. This was the group’s firm favourite; possibly due to the added fat from the coconut, Baobab fibre and bright colour! Coconut Oil is also antiseptic, anti-microbial and anti-bacterial. As such, we shared that it is also useful as a treatment against head lice in children, a treatment against internal parasites and as a make-up remover and moisturiser! All the smoothies turned out to be thicker due to the frozen state of the mixed berries (but would be thinner with more added juice eg.apple or water.) They’d also make an excellent dessert, or frozen into ice cream or lollies for children. When avoiding fruit or bananas, use the superfood powders along with Avocado for chilled soups, with added vegetables (inc. cucumber, celery, kale, herbs etc). We suggest that you could also use other fruit eg mangos, kiwis, orange, peach, plum, plantain or pears instead of bananas. All products may be purchased through NYR. Including Raw Chocolate, a sugar-free, locally handmade chocolate that is good for you! NEW for Autumn! Raw & Wild Living foods in S.London. Mon 7th October – Mon 11th November 2013. 7-9 p.m. The Gallery London, Hither Green Lane SE13. 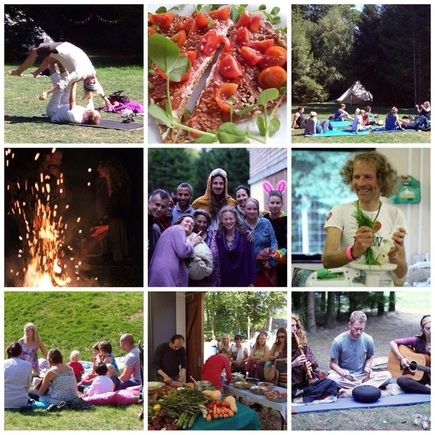 Experience the enhanced medicinal benefits of fresh, nutritious meals, local & seasonal fresh produce, a chemical & contamination-free lifestyle; eco- fabrics & fibres and wild superfoods, wheat, dairy-free & no-added sugar. Carob & banana milkshake, green energy balance juice, Courgetti pasta and dressing, Carrot Cake, apple tarte, ice-cream dessert, samples to taste. £40.00 per person. Bring a friend £70.00 for 2. Concs. Today is Father’s Day (UK) and we celebrated, as is tradition, with cards and gifts. 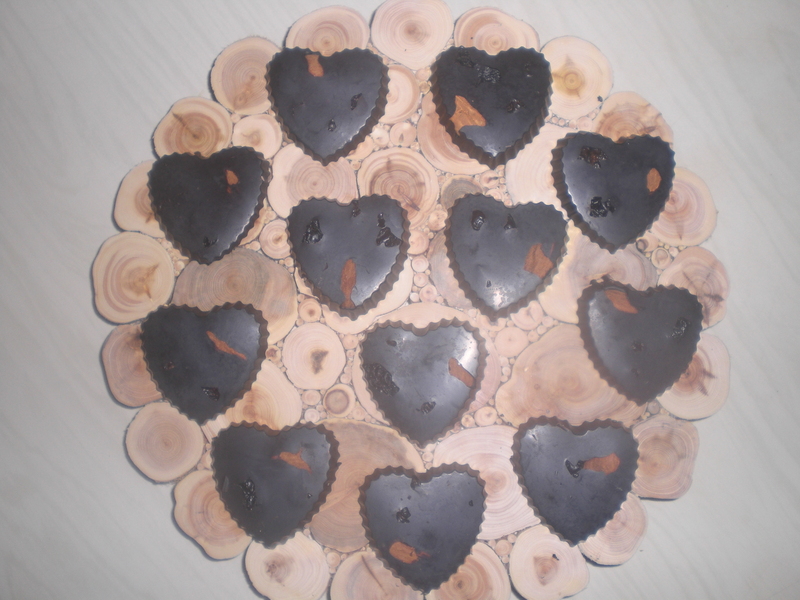 I gave him handmade chocolate covered dried fruit and fresh coconut truffles, his favourites and a couple of cards, designed by Phil, my talented Notts artist\designer. He’d emailed me the pictures with instructions to print off and my Dad loved it; ‘I love Dad’ in colourful fridge magnet style lettering. My sis posted her card and I’d guarded it secretly, for all week. My dad was out in the garden, digging, when I returned from church and rather than wanting gifts immediately, took the occasion to explain to me how to best dig over soil (start from a side and work\dig backwards across the area l-r) and remove bind-weed\convulvulous which had secretly, sadly arrived with the wild garlic (loosening the soil beneath but resisting to dig up) thus saving any other near-by plants; wild garlic and leeks in this instance. My lesson concluded with the sharp removal of dandelions (which had dared show their buds in our near-to-full-blooming rose bed). In any other sense, I would have taken it on board in a nocholante way but being Father’s Day, I paid more attention and learning more that I will some day need to replicate this for myself, with or without him around. It brings home the fact that I am still learning and benefiting from such simple tasks and details, but for my parents’ avid garden design, we have a garden which, in parts, resembles that of a picture in a magazine; roses of all shapes & colours are flowering against the fence (scarlet red \ pink), wall (dainty posy pink) shooting up our arbre (yellow) and taking advantage of a shorter crab-apple tree (in bright pink, white and mixed, with pale pink and old-fashioned-mauve still to come). The glass candle holders are courtesy of my grandparents, as a gift, in deep pink and purple; they compliment well our minature irises, chive flowers and soon-to-be ‘lambs ear’. I am reminded of those nearest & dearest friends who are without a father or a parent today and wish them a happy day with their families and friends. I am lucky, in that I see mine on a daily basis (though I feel not, in some occasions…) as we chose to stay at our house and change it to suit our changing circumstances. Mothering Sunday 10th March ~ Handmade edible gifts for our marvelous Mothers. Apple & Cinnamon, Chocolate and Chocolate Chip Cup Cakes & Rose Raw Chocolate Truffles (v, g-f). Do you want to order a feel-good parcel? Chocolate, Chocolate Chip and Apple & Cinnamon Heart cakes. Ring, email or pm me for delivery details.